Having been involved with the radio industry since 2003, Hilomast has seen a major shift of emphasis over the past few years. Having been one of the largest distributors of Yaesu Musen radio products in Europe, changing conditions including the introduction of GSM and PMR446 forced a rethink of sales policy which has brought about a virtual withdrawal from the UK PMR market. Now our radio sales staff concentrate on larger or specialized systems for clients mainly throughout Africa and the Middle East, as well as UK military, Governmental departments and NGOs. Our spectrum interest range from HF through to point to point communications on 1.4GHz. Recent innovations in HF techniques, especially in frequency agile and secure systems have brought about a renewed interest in this part of the spectrum. Data over radio is also playing an increasing role in this form of communication and economic factors are increasingly important when considering long distance and cross border communications. A project team can advise, design, manufacture and supply a system around your requirements, whether it is HF, VHF or UHF. In addition we can survey and install systems in most parts of the world. Please select a product from the drop-down menu located under the “Cameras” heading (and, then, under the “Cameras ” sub-heading) of this Hilomast website in order to acquire a fuller description of all of the products and accessories Hilomast offers. Hilomast has been supplying equipment and systems to radio communications markets worldwide. Today, Hilomast is relatively unique in offering a comprehensive range of radio communication products and services. Hilomast is dedicated to the radio communications market. Over 80% of Hilomast’s products are designed and manufactured in our factory. Hilomast ‘s extensive knowledge and experience is ideally suited to meeting your communication needs and are able to handle all aspects of project design, development, manufacture, systems test, installation and after sales support. 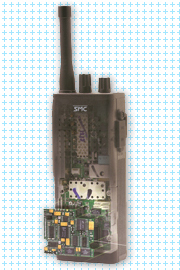 Integration of encryption devices into radio equipment to provide secure radio communication. 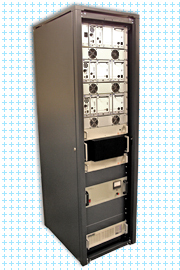 Fully integrated 100% duty cycle, 25 – 100 watts base/repeater stations in the range from 66mHz to 900mHz. Various configurations of racks are available including floor saving wall mount cabinets. 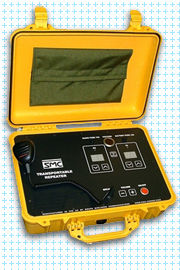 Transportable, self-contained weatherproof repeaters for either in-band or cross-band operation. Our project management and design team have many years of product and applications experience and are able to work with the customer to configure systems that practical and economically meet the customers’ specification. Using up-to-date computer systems for project control, it is our responsibility is to ensure projects are completed on time, to budget, and meet the requirements of our ISO 9001:2015 Quality Plan. Ongoing and customized product development means that your mast system makes use of the latest available products and is customized to your particular needs. In-house CAD facilities exist for mechanical, electrical, and electronic and electro-mechanical product design.